George plays a young crook who escapes from prison handcufffed to former war hero Jack Warner. Not heard of this one. Will try to add it to the CFA in due course. Will be in the CFA by tomorrow. I just watched this and fair play this is an absolutely top film. The chase is on in 1948 (!) as two convicts Jack Warner and George Cole dive out the back of a police car in the fog. As I was watching this I honestly thought this could be done again today. Jack Warner's character George Martin is right nasty bit of stuff. 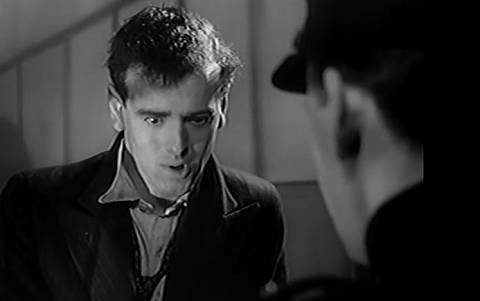 He pretty much dominates the escape with a young George Cole who plays a second fiddle character Willie Stannard. With the two of them handcuffed together they're stuck with all the local constabularies on the look out out for them. This is a cat and mouse film, all set in the English countryside with Jack Warner doing all he can to get away, stepping on anyone who tries to get in his way. He has form, is former army and Willie Stannard is a first time offender, a bit wet behind the ears. Plenty of other recognisable faces in this including Maurice Denham who was in Minder's 'The Birdman of Wormwood Scrubs' and 'Minder On The Orient Express' and also Last of The Summer Wine's Bill Owen. The good folks over at Reelstreets have identified some of the locations in this one. I did wonder where the arches and 'The Bear' pub were when I watched this but to date this doesn't seem to be on there. As this is a 1948 film unfortunately I did have to turn the volume up slightly louder than usual. Nevertheless, a great film this and lots of action going on. Sounds good, I will have to see this one. Definitely - it is not every day I recommend films that are almost 70 years old but this one is definitely worth checking out. The 1940s cars in this cars are truly superb and have a hint of the Gumdrop meets John Steed and I love the fact that a country filling station doubles as a mechanic and most importantly 'Tea Rooms'. Charming bits of history in this. I watched this a few weeks ago on TVs number one film channel. A cracking film, well worth a watch of anyones time. Got to agree. It's a great film, very well acted and perfect for a rainy afternoon. GC couldn't be further from our Arthur in this one, but nevertheless superb acting - he would have been about 23 in this. What is the pq like on the TV broadcast? It is not that great on the official DVD! Just had another look at it and it's ok. Yes there are a few blips and scratches but nothing I'd consider too major considering its age. If I had to comment on anything it's the 1940s sound which as I said above required a lot of turning up and seems light years away from anything hq. From a certain auction site, Jack Warner looking absolutely nothing like Dixon of Dock Green. Release date shown as August 9th 1948. Yes, it is hard to believe that the Jack Warner in this film went on to play Dixon of Dock Green for 300 years. I must confess I did wonder if there were 2 Jack Warners because of how different he was in it. Before anyone gets in touch, I know equity would only allow the one. I wonder where this is? I had a little Googleshufti but nothing doing at the moment. Must be Oxfordshire somewhere, everything I have found points to somewhere near Aston Rowant or Thame but can't find anything yet. Found it! Check the post box and the bottom of the arches, it has to be the place. 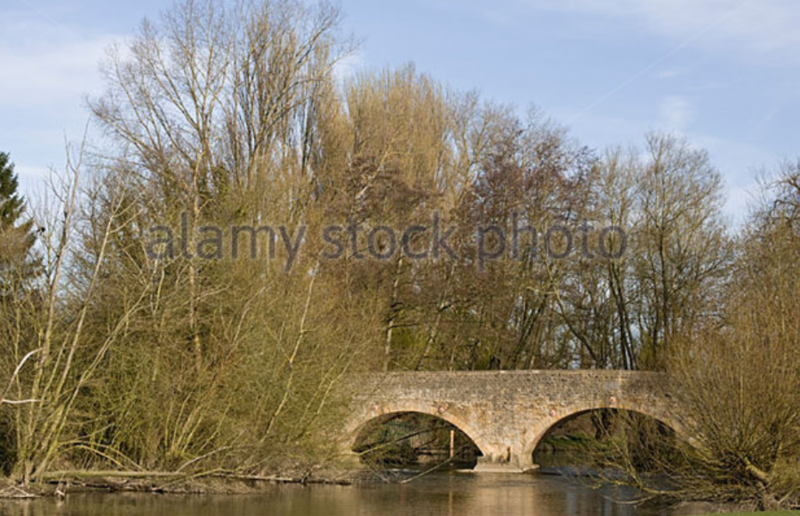 When you include the bridge arch, it does look like the same one. 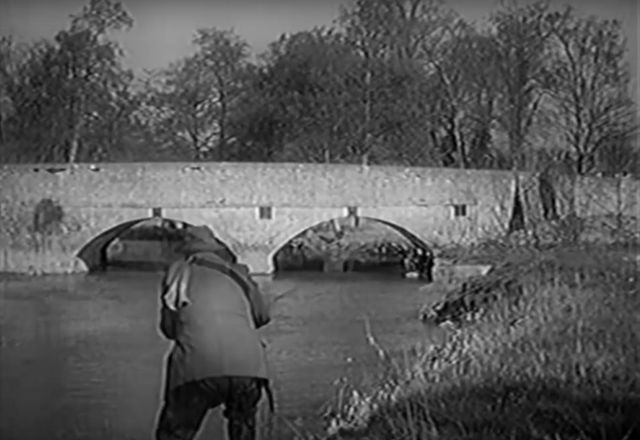 When the film starts off there is another two arch bridge. This isn't the same place though, must be on the Thames somewhere. Earth to felix - I've had a good look down here: en.wikipedia.org/wiki/List_of_crossings_of_the_River_Thames but still nothing unless I am missing a clue. He looks a little like Ted Roach from The Bill, in the picture. 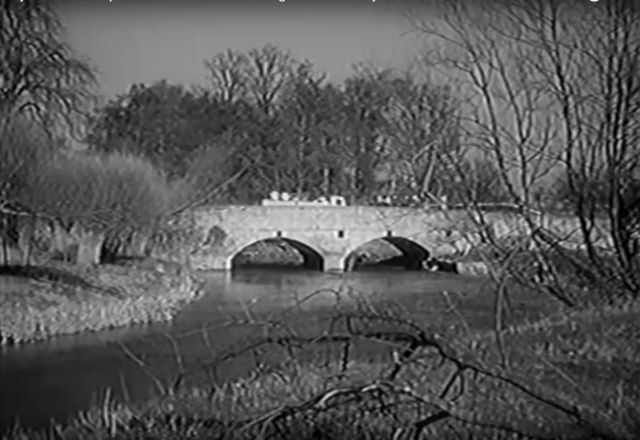 Is that bridge in the opening scenes Godstow Bridge? It's the only one I can find that's anything like it. I would say not. The arches don't look the same design. Very similar, but the ones on the newer photo seem to be shorter from top of the wall to to the top of the Arch than the ones from the film. I saw this film recently via the official DVD release and very sad to report that pq is well below average. I will check out the TalkingPictures print at some stage but that is probably going to be worse. Such a shame because this is a really good film with great performances by all the main cast. 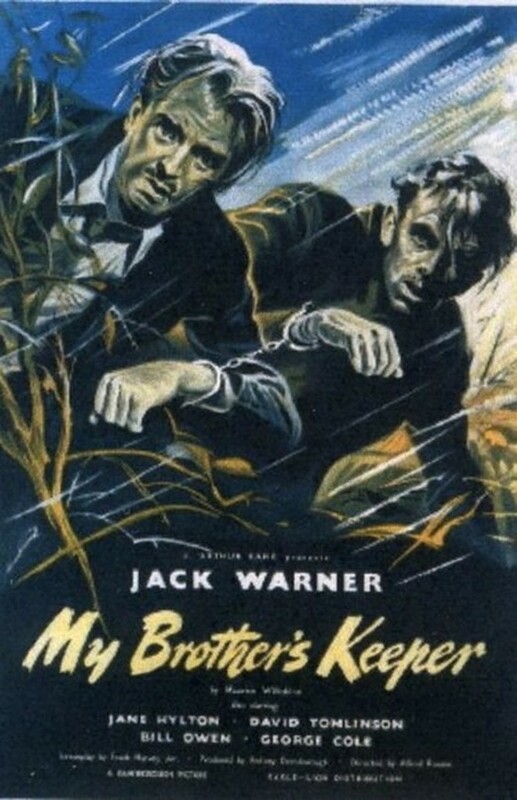 Warner is really good as the convict on the run who would sell his own grandmother to stay free. George is brilliant as the young chap with learning issues. David Tomlinson does a fine job as the struggling newspaper reporter and has a side plot which adds a touch of welcome levity to this excellent movie. As jno has said there is a fair bit of location work as well. 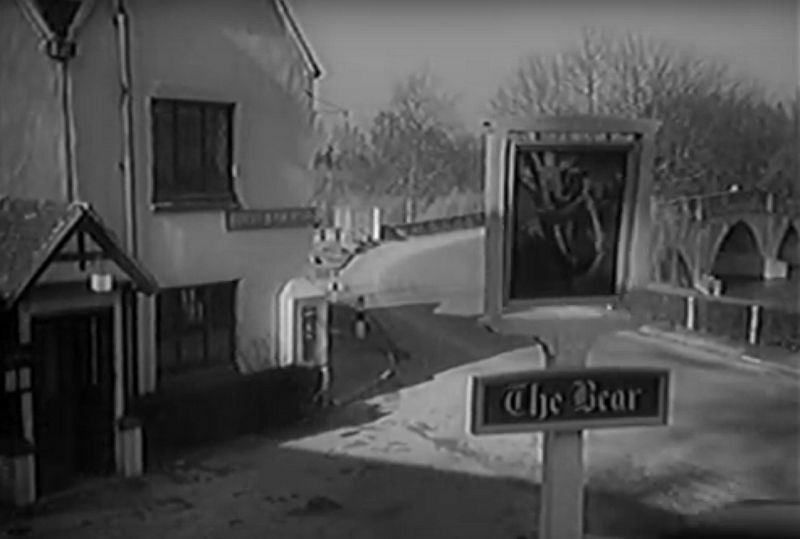 This comes from the golden era of British cinema. 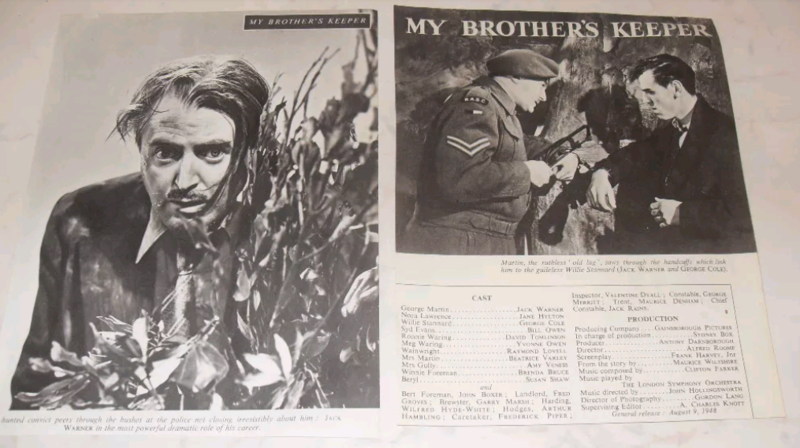 A shame it wasn't an Ealing Film because it would have been restored. The BFI needs to make this film a priority. It should never look this bad. Love this poster (there is another similar quad poster on ebay for a whopping £1500). Another showing on Talking Pictures today at 12:15. Just compared the TP airing and the official DVD. Now, the official DVD is nothing special picture quality wise but it is a marked improvement over the version Talking Pictures are using! I can't believe how blurred the TP one is. Thanks for the info mias.